Rupert Pupkin Speaks: Favorite Film Discoveries of 2013 - Christina Rice ""
Between rearing a toddler, working a full time job as a librarian/photo archivist, and promoting my book Ann Dvorak: Hollywood's Forgotten Rebel, my days of movie binging are a distant, though still sweet memory. As I was thinking back on 2013, it turns out I was able to squeeze in a few first time viewings worth mentioning. It's hard for me to watch anything with Martin Sheen and not be distracted thinking about The West Wing. 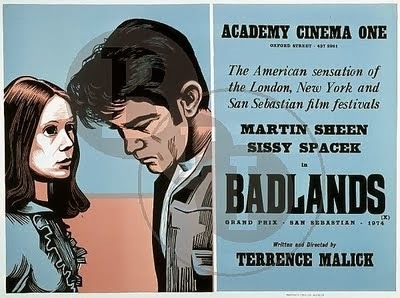 However, once I got President Barlet out of my system, I was riveted by this precursor toNatural Born Killers with Sheen and Sissy Spacek as young lovers who go on a senseless killing spree. Ever since becoming a parent, I have had a difficult time tolerating anything more intense than My Little Pony, but I could not stop watching this one. I'm not saying Van Nuys Blvd is a good film, but it is a great guilty pleasure. 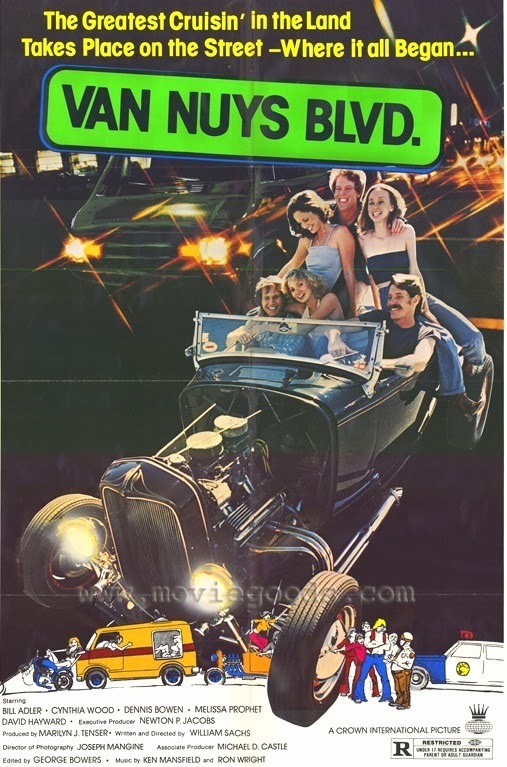 Inspired by the San Fernando Valley's Wednesday night cruising ritual of the 1960s/70s, it's pretty much what you would expect from a movie based on a cultural trend (anyone rememberConvoy?). I guess it helps that I live in the Valley and my husband and I now delight in belting out the funk theme song every time we cross Van Nuys Blvd. As a side note, the Van Nuys Cruising Association briefly brought back Wednesday cruise nights in 2009, but this revival was sadly short lived. According to the organization's website: "Due to Morons That Thought Doing Donuts in the Middle of the Street and Leading Police on High Speed Pursuits Resulting in a Major Crash, Cruising Van Nuys Blvd is Gone Again!!!" Charles Laughton's only directorial credit is both breathtakingly beautiful and utterly brutal. 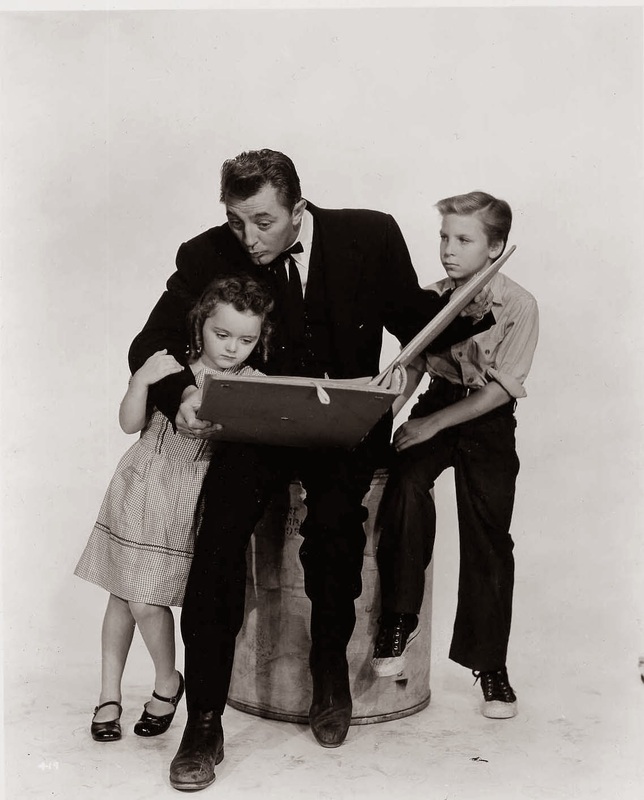 Anyone who has seen the 1962 version of Cape Fear knows Robert Mitchum could play creepy, but his turn as a religious zealot who terrorizes two children is downright nightmare inducing. Throw in Lillian Gish to counter the darkness of the rest of the film, and I was sold. This is my favorite first view of the year. Joan Blondell + pre-Code = sheer joy. I can't say that Blondie Johnson is the best pre-Code out there. I am not even sure I could recall the plot off the top of my head. But, it's Joan Blondell and she didn't need much to work with in order to make a movie fun and watchable. The film starts out with a sobering look at the effects of the Depression on the common man (or common gal in this case). This view of social reality was almost a Warner Bros trademark of the era and an aspect of their films I am always impressed with. As the movie progresses, it does get lighter and only in the land of pre-Code can a film have a happy ending with our heroine being sent off to prison. Occasionally, a film will be hyped up to a point that it’s not possible for it to live up to expectations. I am sorry to say that for me The Story of Temple Drake was one of those. I had heard so much about this scandalous pre-Code over the years that when TCM aired it in 2013, it was a major event for me and a couple of friends. All of three of us were underwhelmed by the film’s slow pace, and the presentation of the subject matter was not as provocative as we were expecting. Still, it’s Miriam Hopkins and Jack La Rue, which counts enough for me to include it here. If you go into this one with lower expectations than I did, you just might enjoy it.